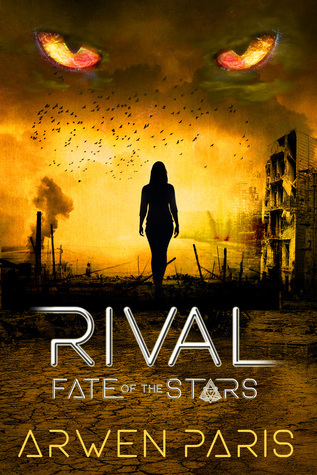 This is the second novel in the Fate of the Stars series. It is well written and the characters are believable alien races. You must read the first book, Fate of the Stars to understand these characters and events. It all takes place in southern California. Our heroine is a 17 year old high school senior with hopes and dreams for her future. She longs to be an astronomer and study the stars. The events that occur that weekend in August will change her life forever. This book starts with a memorial service for the citizens of Avilene Beach that didn’t survive the night. It has been one week since the night of the party and the invasion the next day. The aliens known as Ma’tiok are still decimating the western coast and must be stopped. Allison has been declared a Priestess due to her symbiotic relationship with Eenoki. There are two other races of aliens, the Vongjar and the Hytan. Both species are warriors and swear allegiance to the High Priestess. Now, Allison must convince these warriors to help her save Earth and her people. These warriors have been sworn to wipe out all worlds infested with Ma’tiok. In order to get their help, she must swear her own allegiance to the High Priestess and become her ambassador. However, Allison’s own people won’t accept aliens ruling them. Since Allison now looks more alien than human, the people won’t accept her either. The life and death battle she now faces moves from Earth to spaceship and then back to Earth. She must convince both sides that Earth and its people are not expendable.